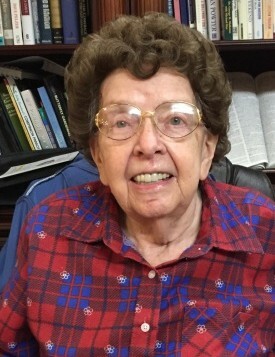 Long, Hazel Doris, 84 of Ocala passed away at the Legacy Hospice House on Sunday, September 2, 2018. Hazel was born in Zion Station, KY on November 5, 1933 to John and Iva Dues. Hazel was one of eight kids growing up on a farm. Hazel moved to Indianapolis, IN and went to work for the White-Haines Optical Co. where she worked in sales. Hazel married and had two children and in 1969 the family moved to Fort Lauderdale, FL. Hazel and her husband divorced and while she was working at Lens Tec Optical Manufacturing, she met and fell in love with William “Larry” Pound and together they formed Rx Lenses, inc. Hazel and Larry enjoyed going to the mountains every year to see the leaves change. Hazel loved her kids and was a wonderful grandmother. She had a great memory and was very intelligent. She enjoyed music and always had a smile on her face. Hazel was predeceased by her parents, all her brothers and sisters and Larry. She is survived by Her son John C. Long (Shannon) of Bunnell and Peggy C. Palmer (John) of Ocala along with three grandsons John, Robert and Charles Palmer. Funeral services for Hazel will be held on Saturday, September 8th, 2018 at 1:00pm at the College Road Baptist Church, 5010 SW College Rd, Ocala. The family will receive friends starting at noon at the church. Interment will follow immediately after the service at Good Shepherd Memorial Gardens Cemetery. The family requests that donations be made in Hazel’s name to the Humane Society of Marion County.